Tahitian pearl, natural in color, originating in French Polynesia. The pearl grows attached to the inner surface of the oyster. 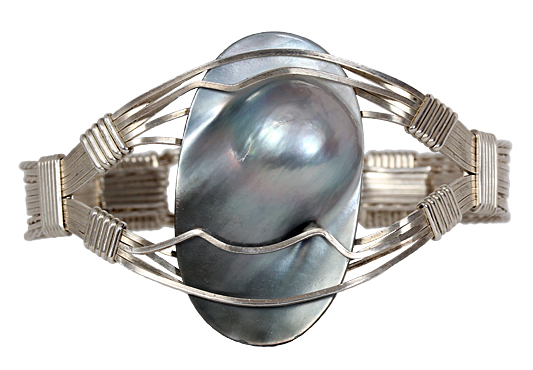 The shell of the oyster has been cut into a oval shape to include the blister pearl, measures approximately 40 mm x 23 mm. It is then assembled with a mother-of-pearl backing. 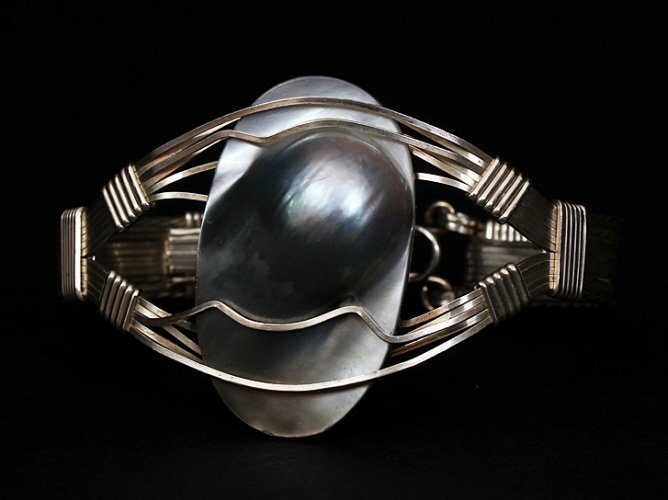 A mabe pearl is an assembled, cultured, blister pearl. Shades of silver, gray and black are the predominate colors with iridescence of yellow, orange, blue, green and violet also seen as light reflects off of its surface. 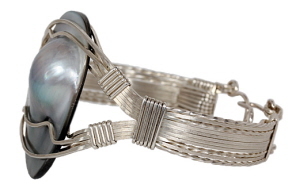 Bangle is constructed using argentium silver wire. Best fits a wrist measurement of ~6¼ inches. 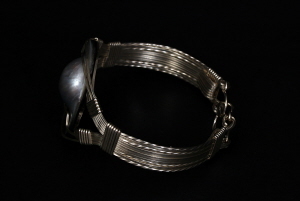 Slight adjustments in size could be made by changes to the clasp. Weight 0.8 oz.